Captain Chaos!!!! 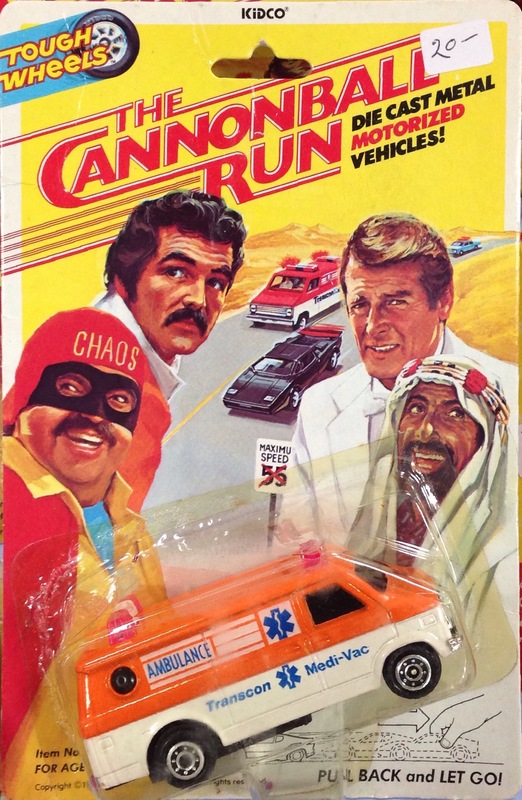 Can’t believe someone made a line of Cannonball Run toys, but they did. There’s the ambulance and a whole slew of others. There are Star Wars people and Star Trek people. I already said that. The Star Wars side of me actually had this lunch box all through 3rd grade. When it comes to science fiction, there are Star Trek people (with many sub-groups) and Star Wars people (and a few agnostics.) I love Star Wars, and as a kid, I was definitely in that camp, but as I’ve aged, I’ve become a Star Trek man, and I love this lunch box. Clash of the Titans is actually one of my favorite movies. I loved everything about it. The Harryhausen animation. The monsters. The portrayal of the gods. It blew my mind. I never once saw this lunch box in real life as a kid, but I would have begged for it. After getting my Star Wars one. In the Halloween theme I present the greatest collection of monsters known to human kind. On a lunch box.